Shooting Stars and Smoldering Orbs….. The setting: one artificially lit parking garage, beneath the sanctuary housing its superior offering. One memory made, of the choicest authentic ingredients. A night of firsts. 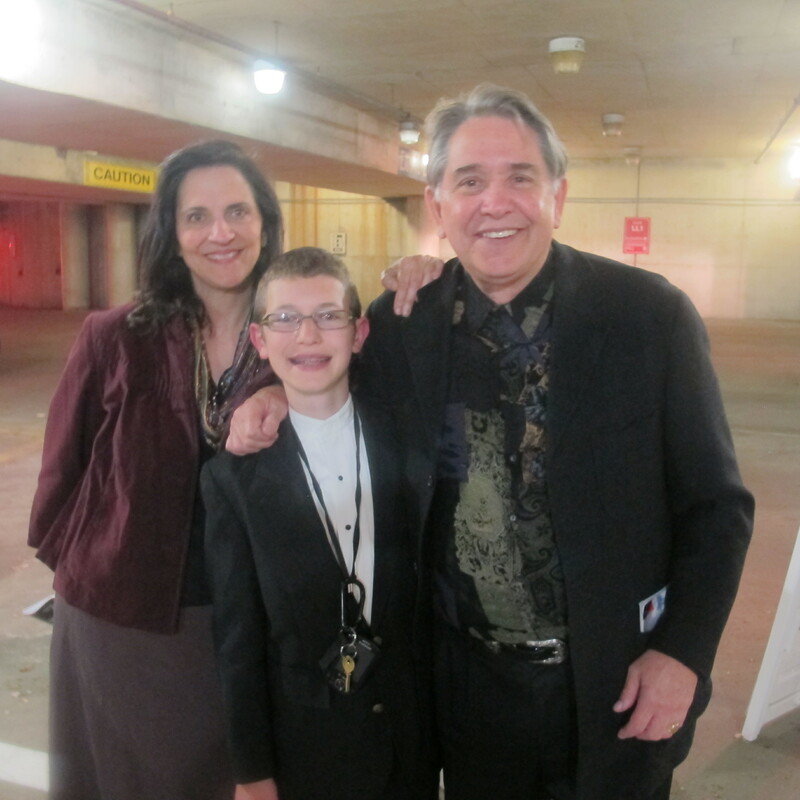 Stephen’s first visit to the Cleveland Orchestra; my first visit, with Stephen. 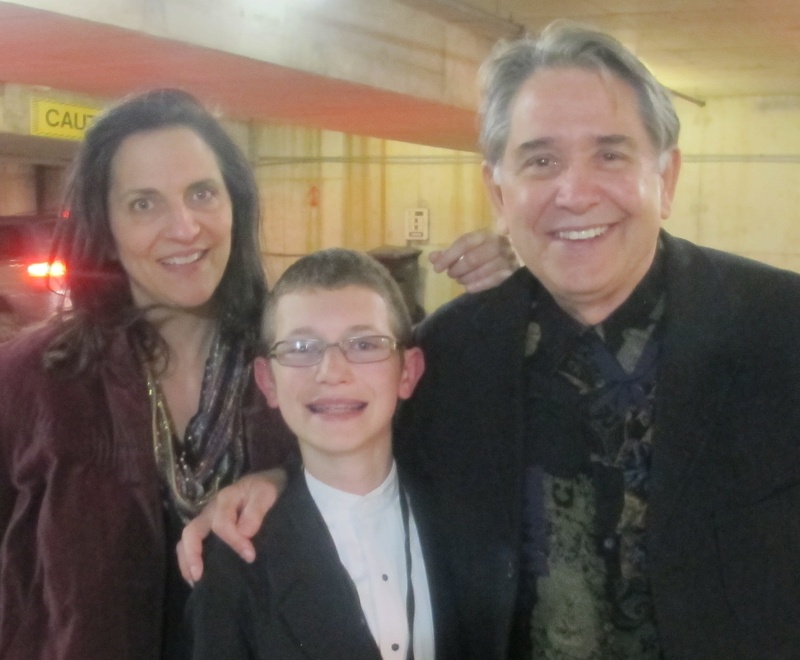 Young soprano Nathan’s first surprise, of the evening – being greeted by his very own composer, Stephen, after the show! Earlier: a first, delectable meal of lamb and moussaka at the Falafel Cafe, four minutes into the wind from Severance Hall; in the middle: our first hearing of Mahler’s massive 3rd symphony, grandly performed by the largest orchestral collective possible on one concert stage; my first, ever, live. Had performed most of them, across two other orchestras, over twenty some years – first 2, then 4, then 1, I think…and, on, and on. The first glimmer of real light, in months. True friendship, of the highest order; mutual respect, mutual propensities, mutual interests. Nothing shabby, except perhaps the years’ old Infinity scarf import settled in my bodice. And, one mutually beloved child, unaffected, unabashed, unapologetically gifted, to share. A tiny “family moment” for two almost-parents, provided by his appreciative, grateful, real mother. Gratitude, returned, in abundance. Stay tuned for the release of the premiere recording of the opera, “The Selfish Giant”, composed by Stephen Colantti, conducted by Maestro Matthew Kraemer and featuring Mark Steven Doss, bass-baritone; Nathan Niedzwiecki, boy soprano; Lisa Layman, soprano; Brent Weber, tenor; James Bobick, bass-baritone; Olga Perez Flora, mezzo-soprano; Dione Parker Bennett, soprano; The Childrens’ Chorus of Cathedral St. Paul; and, the members of the Erie Chamber Orchestra. Mastered by Norwegian Wood recording studio. Marie, every word is genuine. Here’s hoping you get the reply you seek. Will stay in touch, in email. ❤ to you!